Home Alternative health Crystal Healing: New Age “Hooey” or Truth? Crystal Healing: New Age “Hooey” or Truth? Alternative or new age healing techniques are often a bone of contention with many people. On one hand, there are plenty of people who swear that they’re effective, possibly more effective than more conventional medical techniques. They are especially popular with those who would prefer medicine to be more natural than what pharmaceutical companies, hospitals and clinics have to offer. Sometimes there’s a religious component to it, as many Wiccans and pagans believe some of these techniques to be sacred. On the other hand, many others see new age healing techniques and alternative medicine as poor substitutes for proven conventional medical techniques at best and spiritual snake oil at its worst. One of the more popular spiritual healing techniques among new-agers is crystal healing. Crystal healing refers to the use of crystals and gemstones placed on different parts of one’s body, usually on places corresponding to their “chakras” or energy centers. The point is to use the crystals to direct the body’s energy throughout the its seven main chakras to create a sense of balance and promote healing. The process is based on the belief that illness is in part caused by negative energy, and that this energy must be cleansed before proper healing can begin. It is unknown from where or when crystal healing originated. What is known is that different cultures have been using crystals and gemstones for centuries in religious ceremonies, as charms to help ward off evil spirits or negative energy and to promote healing. It’s been the most prominent in Eastern cultures, although it’s clearly become popular in the modern Western world. Of course, the big question on the minds of people who will read this is whether or not crystal healing works. Well, the truth is that there is no scientific evidence that supports the benefits of crystals or crystal healing. Crystal healing is what we call a pseudoscience, meaning that it doesn’t adhere to a real scientific method despite being at least partially presented as scientific. There are those who claim that it really does work and that crystals have helped them to recover from physical ailments, but these are anecdotal in nature. 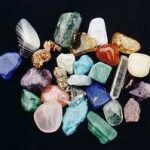 There certainly isn’t any harm in attempting crystal healing; crystals and gemstones placed on the skin or nearby won’t harm you, and even if what you would be feeling if there is any improvement is nothing more than a placebo effect there’s something to be said for something that brings you comfort in a time of need. Part of the effectiveness of crystal healing lies on how spiritual you are and how much you believe that it will work. Many believe that there is energy all around us and within us, and focusing or channeling that energy using crystals or other methods is said to be very effective in influencing people and their sense of well-being. As we said above, there is certainly no harm in crystal therapy. Feel free to give it a try and see if it can help you. Just don’t expect it to replace conventional medical treatments. That way of thinking can be very dangerous, and people have suffered because of it.